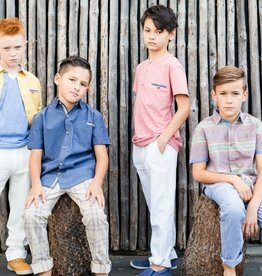 Fore Axel and Hudson, a stylish, sharp, golf-inspired collection for boys. Think country club meets California cool. 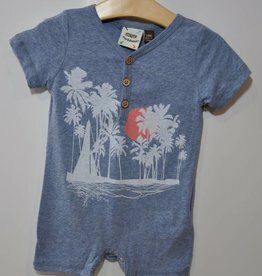 An eco-friendly brand, we craft most of our pieces from ultra-soft and sustainable bamboo/spandex. 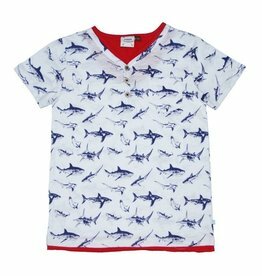 100% cotton white henley with blue print sharks and red trim. 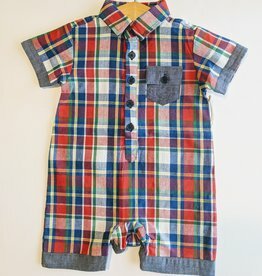 Small v-neck with three buttons. Great shirt that he'll wear and wear. 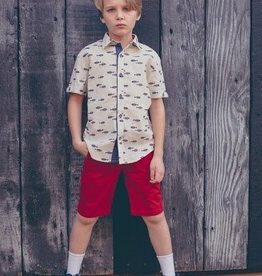 Wonderful quality and style for your little man. 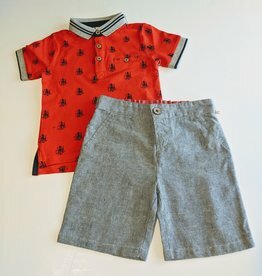 Adorable 2 pc short/shirt combos made with cotton. Some with bow ties included. Fun graphics on the T-shirts. Great detailing in the button downs. 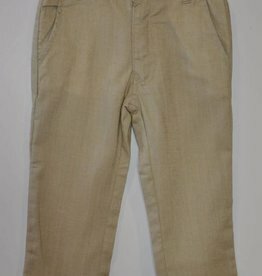 Shorts have adjustable waist, button closure with zipper and slant side pockets.